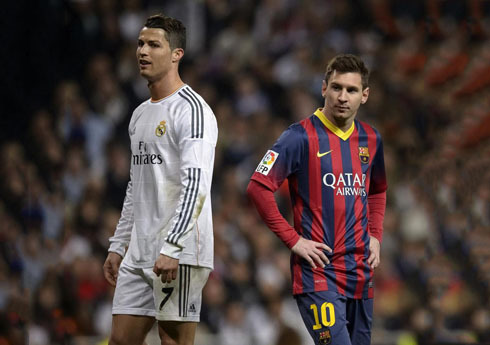 ﻿ How can Ronaldo and Real Madrid benefit from Messi's injury? 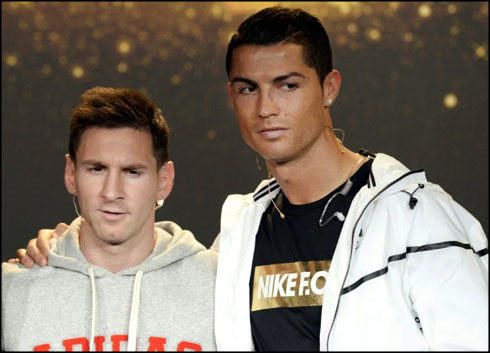 16.10.2015 » How can Ronaldo and Real Madrid benefit from Messi's injury? It's never good to see a player getting injured and even less when we're talking about a superstar like Lionel Messi. Nevertheless, the fact is that the Argentinian will be out for the next 4-5 weeks and with that comes a golden opportunity for Cristiano Ronaldo and Real Madrid to cash in. Real Madrid and Barcelona are currently tied in La Liga standings, as both teams already dropped a total of 6 points out of the possible 21 they could have win from the 7 fixtures played so far. It's an unusual scenario if we look back at previous years, where the two Spanish giants very rarely dropped any points and had the habit of easily running over most of their opponents. Things seem to have changed from a competitiveness perspective this season and with Barça deprived of their biggest star for at least another month and Ronaldo still struggling to get back to his old form on a regular basis, the task ahead is certainly not going to get any easier. So how can Ronaldo and Real Madrid capitalize on Messi's injury? Is this a key moment in the season to take off and mark the difference? Lionel Messi has been out of action since September. With him out of the lineup, Barcelona is 0-1 after their latest 2-1 loss to Sevilla in early October. Even though their team is weaker up front though, they don't seem to be losing any steam as the favorites to win the league. 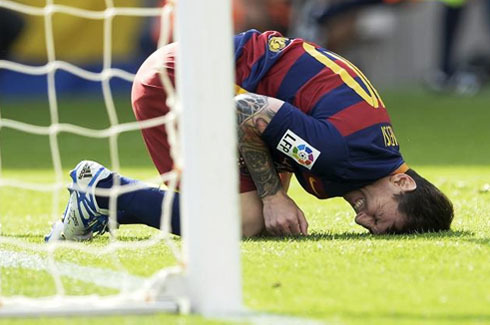 Messi went down last month during Barcelona's 2-1 win over Las Palmas and was ruled out up to eight weeks. Even with his absence though, Barça is still seen as the favorite to win La Liga. On top of Messi's current knee injury, he could potentially miss even more time as well following his tax evasion trial. He and his father Jorge Messi could possibly face jail time as a result of the charges. It's unclear still how everything will unfold, but it does seem a possible scenario that the both could go to prison after a Spanish court recently denied a prosecutor's request to only have Messi's father serve time. The entire football world is hoping that Messi will be available to play through on November 22nd, when Barcelona is set to meet Real Madrid. This match will have a massive impact on both clubs title hopes. Currently, Barcelona has two losses and sits fourth in the league table, while Real Madrid is second with zero losses. As for the two teams' rivalry, Real Madrid currently leads El Clasico with 92 total wins in competitive matches to Barcelona's 89. Messi leads the goal totals in the matchup with 21 to Cristiano Ronaldo's 15 as well. Should Messi miss the game with his knee injury or his potential jail sentence, the look of La Liga and El Clasico table could take a massive turn. Cristiano Ronaldo next game will be for Real Madrid, on the 17th of October of 2015, against Levante. You can watch Juventus live stream, Real Madrid vs Levante, Barça vs Rayo Vallecano, Everton vs Man United, Watford vs Arsenal, and Chelsea vs Aston Villa, all matches delivered in our football live section.